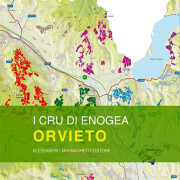 Here is the first and definitive ebook (36 pages) which will allow you to discover – in the most detailed possible fashion – the territory of the Orvieto and Orvieto Classico DOC, one of Italy’s most famous wine regions. 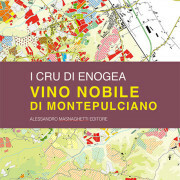 After the success of the printed edition, here is the first and definitive ebook (67 pages) which will allow you to discover – in the most detailed possible fashion – the territory of the VIno Nobile di Montepulciano DOCG, along with Brunello di Montalcino and Chianti Classico one of Tuscany’s most famous appellations. UPDATED 2015 EDITION. The place where the Nebbiolo grape challenges the mountains. Slopes of dizzying steepness, harsh soils, and interminable stretches of stone walls which make the Valtellina Italy’s the largest terraced viticultural area. A wine, a grape variety, and a territory narrated through its historic sub-zones (Inferno, Grumello, Maroggia, Sassella e Valgella) and equally by means of detailed maps. 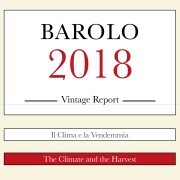 For the first time in ebook format (32 pages), the classification of the Barolo and Barbaresco crus which has aroused much discussion both among experts and among simple fans of these wines. After the success of the series of maps entitled “”The Crus of Enogea” (I Cru di Enogea) and dedicated to the great Italian and French appellations, available both in printed and in IPad and IPhone versions, here is the first ebook (66 pages) which will allow you to discover – in the most detailed possible fashion – the territory of the Bolgheri DOC, along with Brunello di Montalcino e Chianti Classico one of Tuscany’s most famous appellations.